The aim of this our study groups are to support our members in gaining/deepening critical and intersectional understandings of the prison industrial complex and prison abolition frameworks as they relate to queer/trans bodies and identities. We had the first round of this study group in November 2013 with folks who responded to promotion of the group through email, word of mouth and social media. We then met about once every 4-6 weeks on a weekend afternoon in rotating locations. We alternated leadership each month in order to collectively create a structure of readings, films, lectures, etc that we wanted to use for our discussions. The second round started in November 2014, and was also composed only of free world members, though the readings were chosen by FOW leadership, and meetings were facilitated by us as well. We are now in the third round of our “Queer/Trans Prison Abolition Study Group.” This session will be quite different from the past two because instead of having only free world folks involved, 11 incarcerated folks will be discussing the readings with us through penpal letters. To increase access and transparency, we also publish our readings here so that folks who cannot directly participate can still follow along. Some of the readings are public, some we have scanned or gotten from private sources. If you want to read something that doesn’t have a link, email us and we can likely send it to you. We are in the midst of the 3rd round of our Queer/Trans Prison Abolition Bay Area Study Group. 4. Queering Prison Abolition, Now? Optional: Walking while transgender: necropolitical regulations of trans feminine bodies of colour in the US Nation’s capital. Optional: California’s Prop 47 passed. Now what? 1. 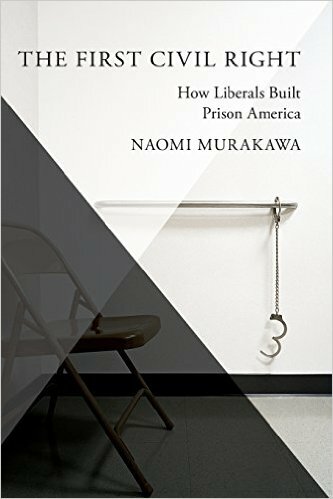 The First Civil Right: How Liberals Built Prison America – Naomi Murakawa, Associate Professor of African American Studies at Princeton University. A short article by Rachel Herzing of Critical Resistance entitled, What is the Prison Industrial Complex to kick off our first conversation and help inform our discussion about what readings / themes everyone would like to cover for the rest of the sessions.